HomeCoinbaseHow Much Does Coinbase Charge For Withdrawals? Coinbase is easily one of the most well-known among all the top cryptocurrency exchanges we have in the market. 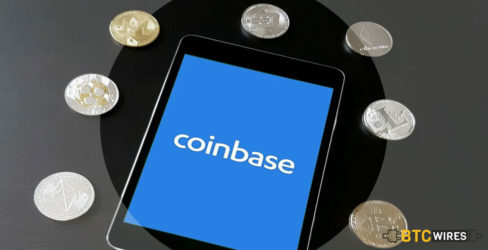 As a result of its high popularity and widespread usage, crypto users frequently have a lot of questions about Coinbase. One of the most commonly asked questions about Coinbase actually happens to be about its withdrawal fee. How much does Coinbase charge for withdrawals? You May Also Read: Is Coinbase Exchange Decentralized? If this is a question you have wondered about, you are absolutely not alone. A lot of crypto users, before using Coinbase worry about the withdrawal fees and wonder if it will end up burning a hole into their pocket. Now, all the answers are at the tip of your fingers. Coinbase Withdrawal Fees: How Much Is It? If you ask for a fixed number of dollars or a fixed percentage of your transaction amount, we cannot offer that in way of an answer. This is because Coinbase does not charge withdrawal fees directly at all. Instead of having a definite structure for withdrawal fees, Coinbase takes a different route altogether. You May Also Read: How Long Does It Take To Transfer From Binance To Coinbase? What it does is, it makes the user pay the network fees that are existing at a given time. No static fee is charged but the dynamic network fee, which keeps changing, is applied onto the withdrawal. Now, this network fee is ordinarily quite low but there have been occasions, when, owing to the extremely high traffic on the network, the fee has risen to around 40 dollars. How to Avoid Coinbase Withdrawal Fees? Now, there happens to be a very easy method to forego the withdrawal fees altogether. Now, for anyone who has a Coinbase account can use the same login credentials to access their Coinbase Pro Account. Coinbase Pro allows the user to buy and sell crypto on the open market and therefore does not charge a brokerage fee along the same lines as Coinbase. To avoid your Coinbase withdrawal fees, you have to do something that is really simple. You can just move your crypto holdings from Coinbase to Coinbase Pro, which is a speedy and free process. After this, you will see that the withdrawal process on Coinbase Pro is entirely free and needs you to spend no money at all. Therefore, with this hack, you should be able to avoid Coinbase withdrawal fees altogether.